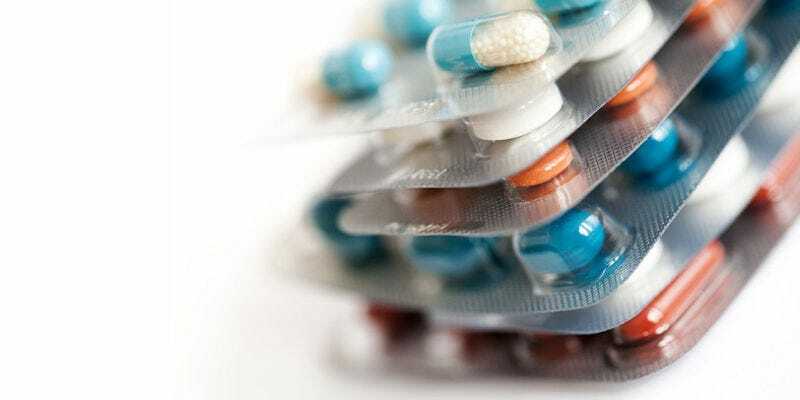 Last month, researchers at South China Agricultural University in Guangzhouin made an alarming discovery: a gene that causes bacteria to become resistant to colistin, a so-called “last resort” antibiotic. Now, New Scientist reports that the resistance gene MCR-1 has been found half a world away in Denmark—and a global hunt for more cases is on. We’ve heard a lot about antibiotic resistance over the past few years, but MCR-1 is especially worrisome. For one thing, the gene exists on a plasmid, a mobile snippet of DNA that bacteria can easily pass around. For another, MCR-1 offers resistance to colistin, the most common of the polymyxin antibiotics. This is a family of drugs doctors use to treat bacterial infections that are already resistant to all other antibiotics on the market. MCR-1 thus raises the specter of pan-resistant bacteria, or infections that can’t be treated by any known drugs. After their announcement, Frank Aarestrup of the Danish Technical University in Lyngby immediately searched for the sequence in a Danish database of bacterial DNA sampled from people, animals and food. He found it in one person who had a blood infection earlier this year, and in five bacterial samples from poultry meat imported from Germany between 2012 and 2014. The genes found in Denmark and China are the same, says Aarestrup, suggesting mcr-1 has travelled, rather than arising independently in each place. MCR-1 hasn’t been found in North America, but the Center for Disease Control is now scouring its genetic databases. Aarestrup and his team are also trying to determine the point of origin by diving into global databases containing genetic information on drug-resistant pathogens. It seems likely at this point that more cases of MCR-1 will crop up—and some of those cases could lead to serious illnesses if other drugs aren’t developed soon. If nothing else, the situation should serve as a wake-up call that it’s past time to end the rampant abuse of antibiotics in animal agriculture. According to New Scientist, 12,000 tons of colistin are fed to livestock every year. In most cases, this life-saving drug is not being used to treat illness, but rather to hasten growth and prevent animals from getting sick in overcrowded, disgusting conditions. Bacteria have proven time and again that they’re extremely good at evolving resistance to any dangerous substances we throw at them. MCR-1 is the direct consequence of a broken system. We can panic about the looming post-antibiotic era, or we can enact policies now which prevent that nightmarish future from coming to pass.